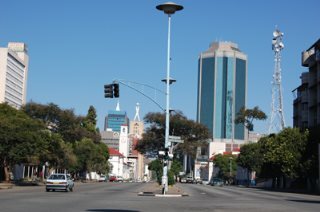 AFRICANGLOBE – A bloodless revolution is silently taking place in Zimbabwe. President Mugabe’s Indigenisation of the land and the economy will set a precedent for the creation of a fore-running, economic model for Africa. Consequently, the victory that has been recorded for President Mugabe is a resounding victory for the future of the African continent. Only 90 years ago, the British South Africa Company owned every square inch of Zimbabwe. Zimbabwean land and natural resources were taken violently and divided among European settlers. All the while, Zimbabweans were considered subjects and assets, solely belonging to the British Crown. After decades of the liberation struggle, Africans finally placed the crown on their own heads. But, in 2013, where are the jewels of this crown? The mining and extraction of precious resources, like oil, natural gas, gold, and platinum, enrich Western corporations. Here, we see the West’s current control over Africa’s “jewels”. Western economic control of Africa casts a shadow of poverty throughout the continent. Whether in the Niger Delta or the Democratic Republic of Congo, the majority of people experience lives of misery and receive very little benefit from the richness of their land. In fact, Africa’s natural resources, land, and forced labour have fuelled the world’s economy for centuries. To this day, Africa is still the world’s engine-room for economic growth. In short, Africa fuels the global economy, while reaping little profits at home; this is the “Black man’s burden.” Indigenisation is designed to allow Zimbabweans to free themselves of this centuries’ old burden. Lifting this crushing millstone is our generation’s greatest struggle. Years from now, economic books will use Zimbabwe’s Indigenisation Program as a model for African decolonisation. African politicians will look to Zimbabwe as a point of reference. As with tobacco, diamonds, cocoa and oil, Africa exports its precious resources to the West, only to buy them back at a premium. This is Africa’s greatest problem and biggest opportunity. The solution to this problem is simple: Africa must not only control its raw materials but also build the capacity to make them into finished products. Indigenisation is the much-needed bridge between poverty and industrialisation, and therefore, transforming Africa into a first world power. No longer will Europeans take our natural resources; no longer will they control our industrial processes. We will not be burdened; we will not be stripped of our land, our pride, our Africa. If Africans indigenise our economies and resolutely build the capacity to refine our crude oil, gold and platinum, as well as the capability to cut and polish our diamonds, we will certainly turn this into an African century. Clearly, Africa is not under-developed; she is over-exploited. Western foreign investors are merely foreign exploiters. According to a recent UN Africa Progress Report, Africa loses 63 billion dollars, each year, through foreign multinational corporations’ illegal tax evasion and exploitative practices. This figure surpasses all the money coming into the continent through Western aid and investment. It is for this reason that Zimbabwe’s new Indigenisation model emphasises local ownership and foreign partnership with emerging nations, such as Brazil, Russia, India and China. Zimbabwe’s Indigenisation Program is as much about looking inward as it is about looking East. 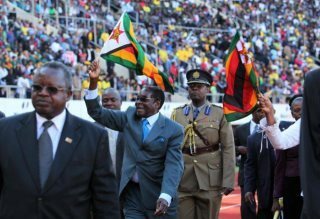 Today, I say, with confidence, that Zimbabwe is the only economically liberated, Black nation in Africa. Zimbabwe has proved to her African brothers and sisters that it is possible, and indeed desirable, to take back our land. Let us now look to our recent past for guidance into our new economic future. The West’s economic sanctions on Zimbabwe were designed to cripple our economy, in an attempt to dissuade other African nations from emulating our cause. The World Bank still estimates that a staggering 65 percent of Africa’s best arable land is still controlled by White settlers or multinational corporations. The World Bank also estimates that as much as 70 percent of the net wealth in Africa is owned by non-indigenous Africans or foreigners. Clearly, the West is fine with other African nations adopting democratic governments, but any attempt to democratise the economy and the land is dealt with by NATO, the CIA, or economically destabilising sanctions. Nowadays, those same Western media houses and academics are admitting that Zimbabwe’s land democratisation programme has not only benefited over a million people, but also pioneered a more economically productive way of farming.